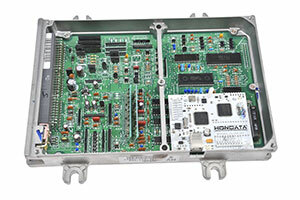 The Hondata S300J converts the factory OBD1 Honda ECU into a fully reprogrammable engine management system. With an S300 system fitted the car can be tuned (remapped) on a dyno to release the untapped power in the engine. All levels of modification can benefit from an S300 system from a totally standard car, to a mildly modified setup, right through to the wildest supercharged, nitrous-injected or turbo setup. Please note: You will need to complete an order form to send with your ECU for socketing/fitting of the S300Jv3. Please email us at guy@cplracing.co.uk for a copy of the order form and we will respond quickly. Thank you. 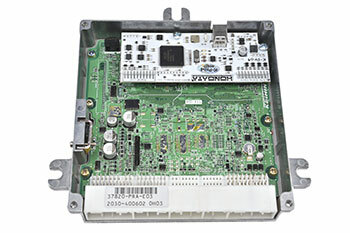 Further note: This S300Jv3 is suitable for the "square" JDM ECUs only, if you have either a European or US ECU, you will need an S300v3, please see separate item on our website.